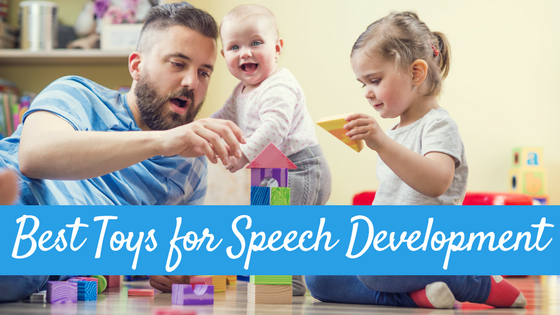 Today’s post is intended for my fellow speech-pathologists. I am so excited to have Tatyana from Smart Speech Therapy, LLC with us today. 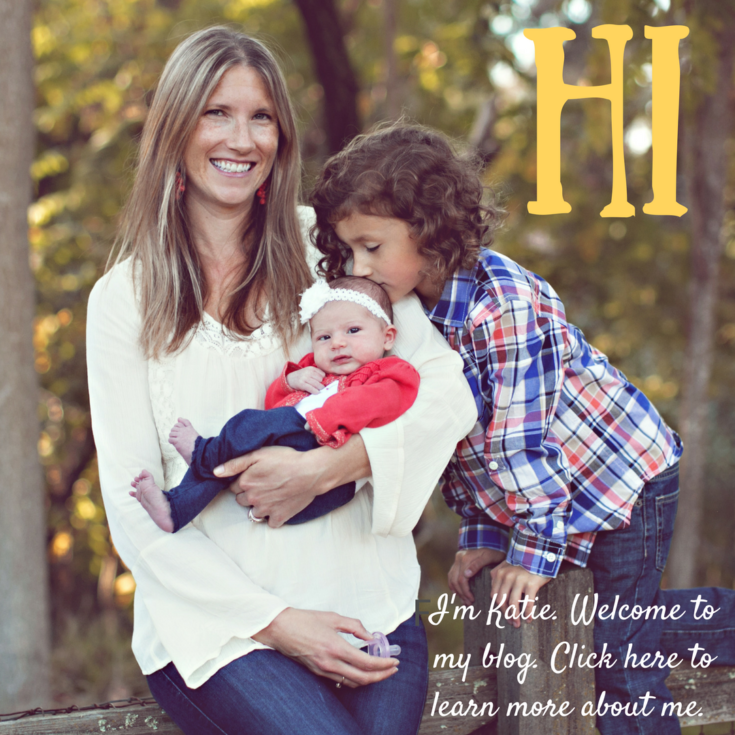 She always blows me away with her thorough and informative posts on her blog and her seemingness endless knowledge on all things speech & language. 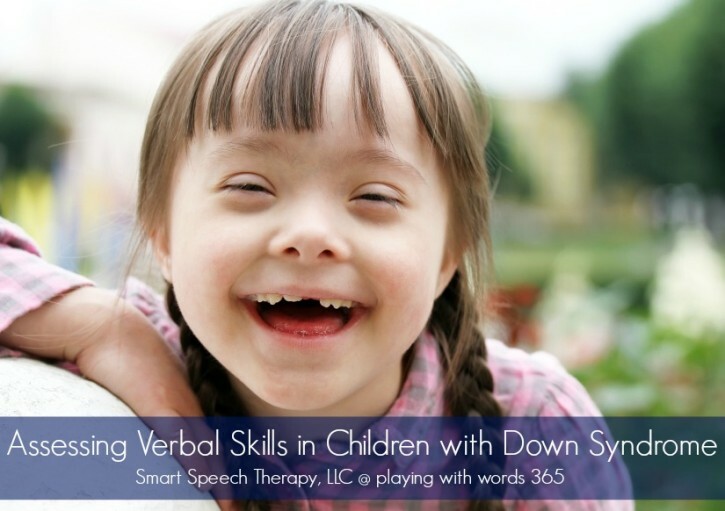 Today, she is sharing some fantastic information with us on assessing the verbal skills of children with Down syndrome. Let us know what you think! According to the Centers for Disease Control and Prevention (CDC), Down Syndrome (DS) occurs in 1 of every 691 live births making it one of the most prevalent genetic disorders affecting health, cognition, development, and communication. Yet assessment of children with DS syndrome is often complicated due to the wide spectrum of presenting deficits (e.g., significant health issues in conjunction with communication impairment, lack of expressive language, etc) making accurate assessment of their communication a difficult task. In order to provide these children with appropriate therapy services via the design of targeted goals and objectives, we need to create comprehensive assessment procedures that focus on highlighting their communicative strengths and not just their deficits. 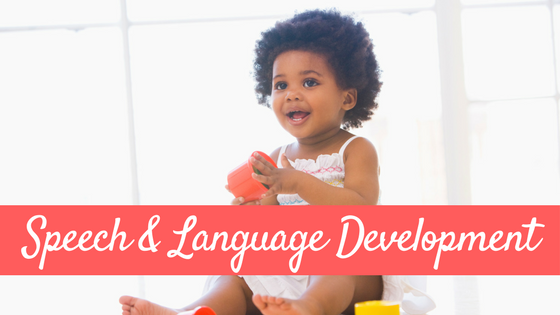 For the purposes of this post I would like to focus specifically on the assessment procedures for verbal monolingual and bilingual children with DS 4-9 years of age, since testing instruments as well as assessment procedures for younger as well as older verbal and nonverbal children with DS do differ. Depending on the child’s age and level of abilities a variety of assessment measures may be applicable to test the child in the areas of Content (vocabulary), Form (grammar/syntax), and Use (pragmatic language). 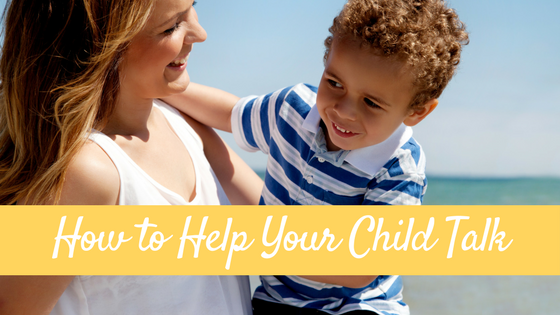 Depending on your setting (hospital vs. school), you may not perform a detailed assessment of the child’s feeding and swallowing skills. However, it is still important to understand that due to low muscle tone, respiratory problems, gastrointestinal disorders and cardiac issues, children with DS often present with feeding dysfunction which is further exacerbated by concomitant issues such as obesity, GERD, constipation, malnutrition (restricted food group intake lacking in vitamins and minerals), and fatigue. With respect to swallowing, they may experience abnormalities in both the oral and pharyngeal phases of swallow, as well as present with silent aspiration, due to which instrumental assessment (MBS) may be necessary (Frazer & Friedman, 2006). Tatyana Elleseff MA CCC-SLP is a bilingual SLP with a full time hospital affiliation as well as private practice in Central, NJ. 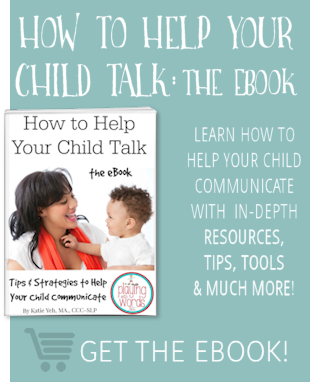 She specializes in working with multicultural, internationally and domestically adopted as well as at-risk children with complex communication disorders. For more information visit her BLOG, STORE, or follow her Facebook page. Kent RD, Vorperian HK. (2013) Speech impairment in Down syndrome: a review. 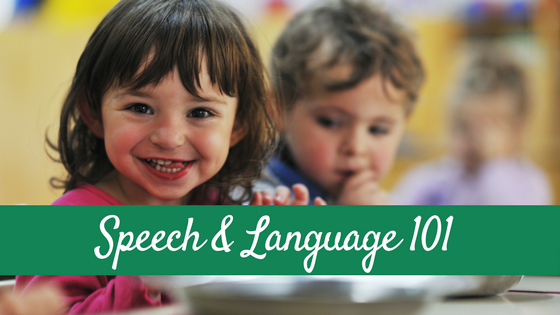 Journal of Speech Language and Hearing Research. 56(1):178-210. 4. Park, A et al (2012) Identification of Hearing Loss in Pediatric Patients with Down Syndrome. Otolaryngology — Head and Neck Surgery 146 (1) 135-140. Portes, A., & Hao, L. (1998). E pluribus unum: Bilingualism and language loss in the second generation. Sociology of Education, 71, 269-294.